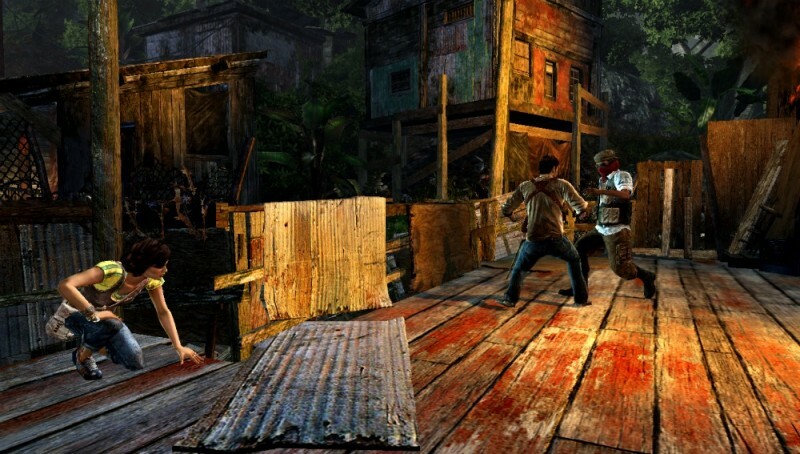 Uncharted is one of my favorite series of this generation. Based on what I’d seen, I was confident that the Vita was powerful enough to deliver a true Uncharted experience on a handheld. In some ways, Golden Abyss lives up to my expectations and in some other important ones, it fails. Let’s start with the positives. Golden Abyss is visually stunning. Sony Bend clearly has a good handle on the Vita hardware, and delivers with graphics that are nearly indistinguishable from the PlayStation 3 games. You might notice some small differences in the facial animations, but when shrunk down to the Vita’s small, vivid screen they are hardly worth talking about. I never thought I’d see handheld graphics like this in my lifetime. Longtime fans are going to get a lengthy adventure that delivers on most of the basics of what you expect from the Uncharted series. Platforming, puzzle solving, and gunplay are all found in abundance. However, if you’ve had frustrations with the series’ gun mechanics in the past, those complaints will be magnified by the slightly loose feeling of the Vita’s analog sticks. I’d recommend tweaking the aiming sensitivity in the options menu just a bit higher than the default setting. 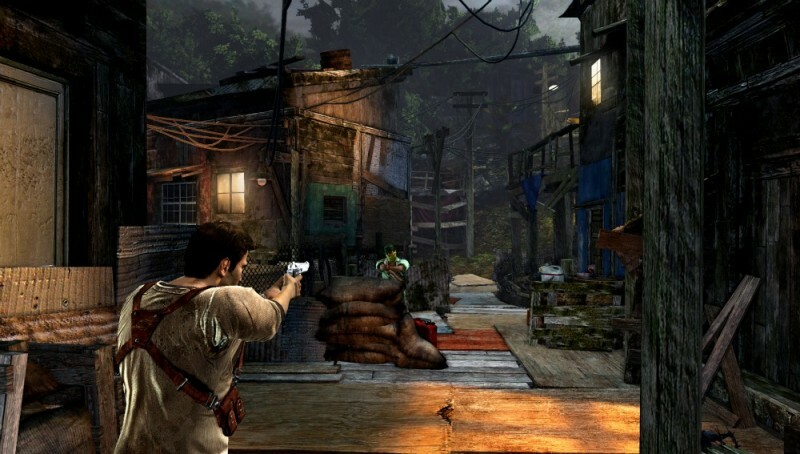 The plot – which is set prior to the original Uncharted – is the usual faux-Indiana Jones boilerplate, with Drake, love interest Marisa Chase, and obnoxious New Jersey-bred treasure hunter Jason Dante exploring some ancient ruins in Panama in search of the secret behind an ancient Spanish religious sect. Oh, and there’s a military dictator named Roberto Guerrero who makes things a bit more challenging. Since it's a prequel, most of the characters you’re familiar with (save for a fourth-quarter appearance by a beloved regular) are missing, so Golden Abyss often feels a bit disconnected from the rest of the series. The dialogue also isn’t as well written as usual (there’s a running bit using the “That’s what she said” joke that was particularly bad), which I suspect is down to the fact that Naughty Dog and lead writer Amy Hennig (who’s credited as a consultant) weren’t as closely involved in this game. Drake and Marisa manage to generate some genuine chemistry, but overall Golden Abyss leaves me a bit cold. 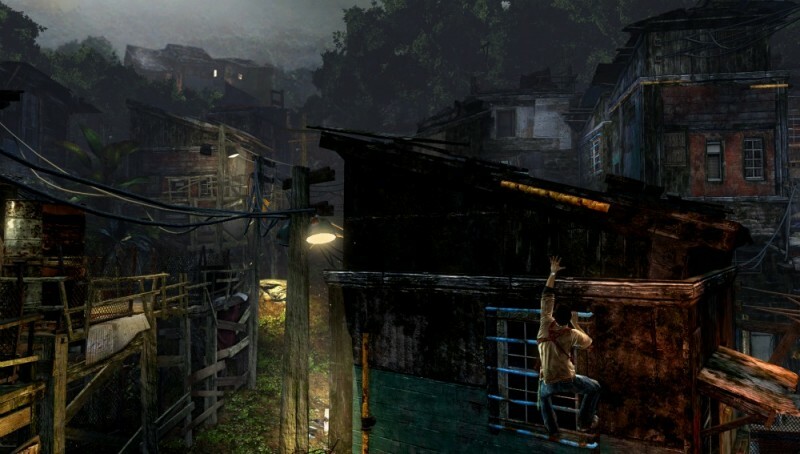 I was also disappointed that, perhaps due to technical constraints, the game takes place entirely in Panama, robbing it of the epic, globetrotting feel that was so crucial to Uncharted 2 and 3. Sony Bend clearly intended for the game to be a showcase of the Vita’s unique hardware functionality, and has implemented a raft of touchscreen, camera, and tilt-sensor gameplay, to decidedly mixed results. You use the touchscreen heavily in puzzle solving and the acquiring of artifacts. Common examples include taking charcoal rubbings of symbols on various totems you find in the game or using touch to clean off dirt from items you find. It’s neat the first couple times you do it, but grows tedious. You can use the touchscreen for more basic gameplay as well, like rubbing the back touch panel to climb a rope or tracing your path along a series of handholds while platforming. Most of the time, I found myself reverting to the traditional mechanics, as the touch didn’t really seem to add much to the experience. The worst of the new features is the ability to “aim” your gun with the tilt sensor – which barely works at all. 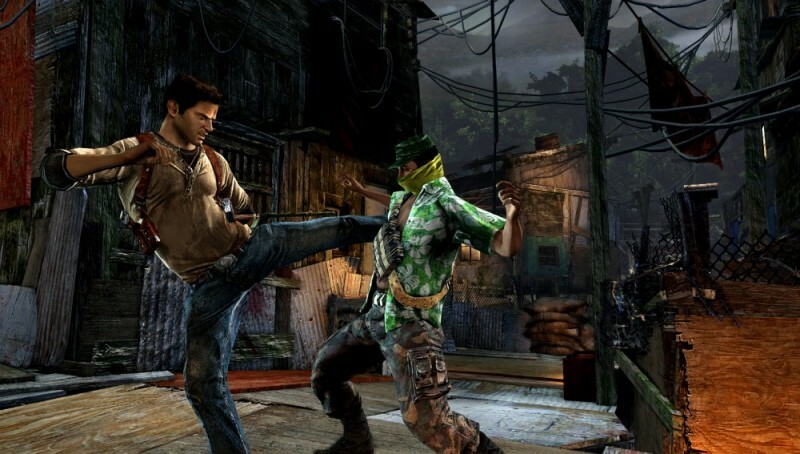 The touch controls also mar the hand-to-hand combat in the form of “swiping” quick-time events that you use to pull off special moves in a fistfight. 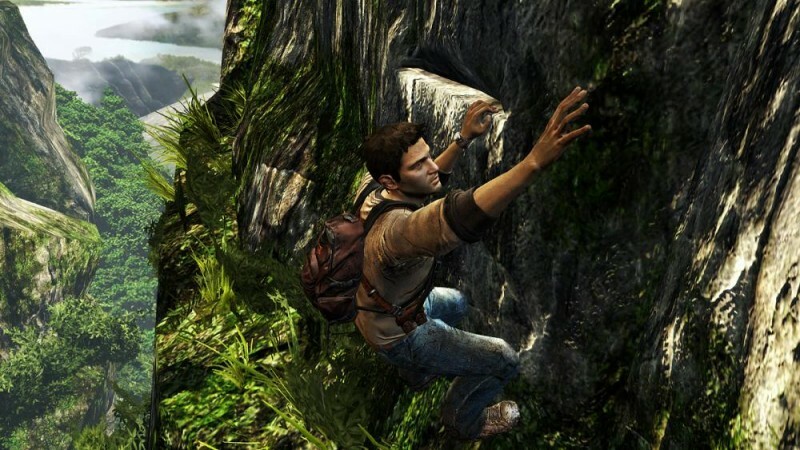 I feel that this is a step back from Uncharted 3’s hand-to-hand mechanics, which were the best in the series to date. I also grew tired of having to use the tilt sensor to balance Drake whenever he traversed a log or walkway. For the most part, it’s easy to ignore these new gameplay gimmicks. However, I can’t help but wonder if they came at a price. For one, all these new mechanics must be introduced to the player, which means that instead of kicking off with an explosive action set piece, Golden Abyss forces you through a host of tutorials. This complaint gets at my real misgiving about the game; it fails to deliver the big moments that I’ve come to expect from the series. 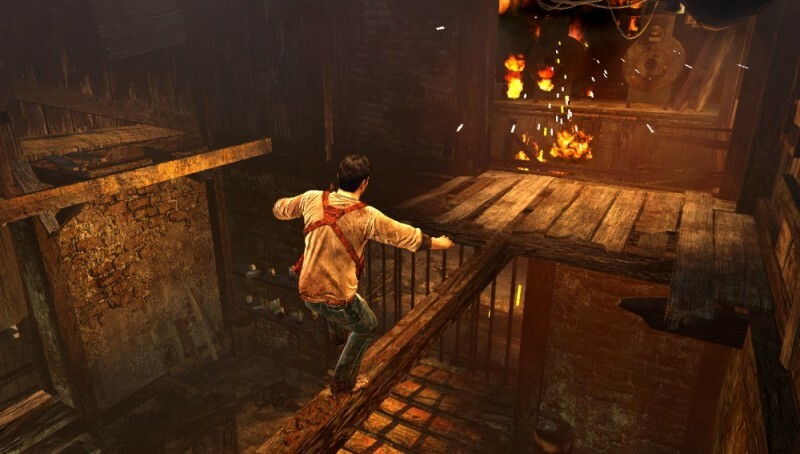 Uncharted has never been a game about mechanics. At best, its platforming and gunplay have been competent – a means to an end. 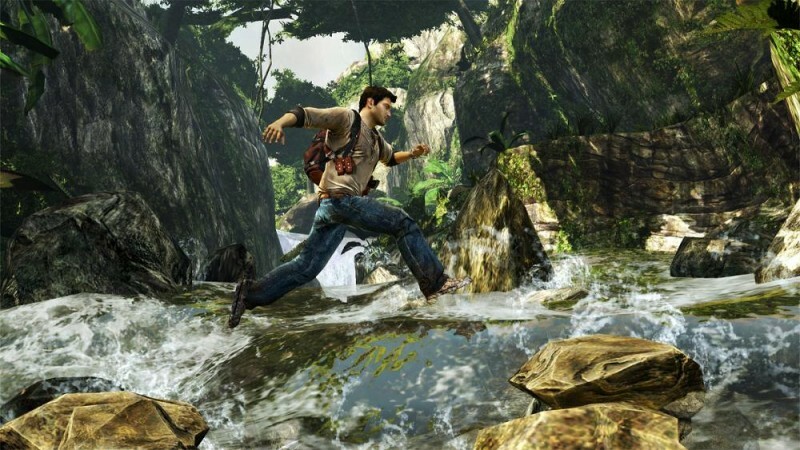 The series hooked me because it consistently gives me jaw-dropping moments – from the train in Uncharted 2 to the plane in Uncharted 3, among others. Here, the action is pretty much divided between standard platforming and simple “shoot your way in, shoot your way out” tomb raiding. 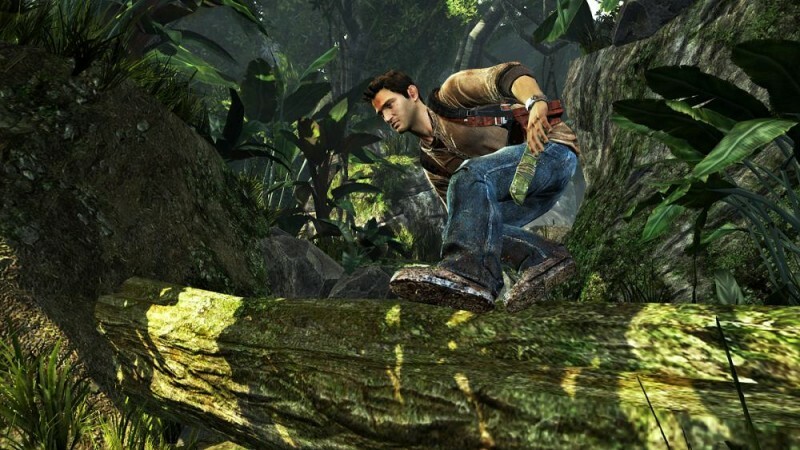 There’s not a single sequence here that would make my list of all-time Uncharted moments. That’s a shame, because there’s much to recommend here. For the first time, we’re able to play a handheld game with the scale and production values of a home console title. 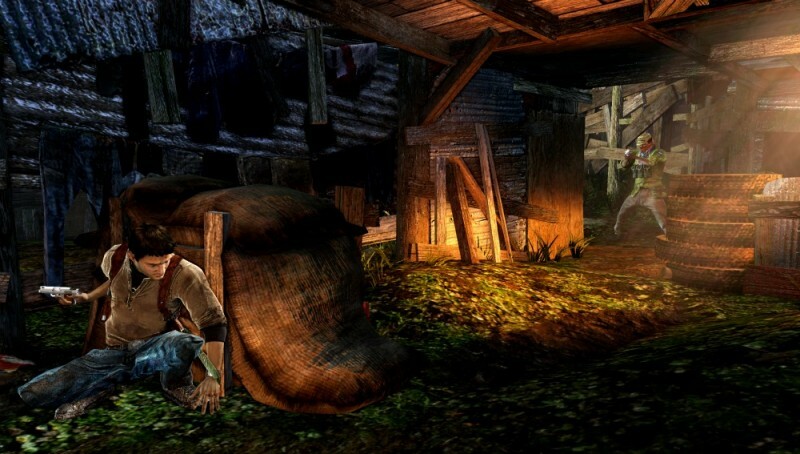 The base level of craftsmanship on display in Golden Abyss means you’ll get your money’s worth – but not a penny more. I wish all the perspiration expelled in the making of the game had been complemented by a bit more inspiration. The best-looking handheld game ever made gives Vita owners a lengthy and entertaining adventure that fails to live up to the standards of the series.